Those with a passion for Desert modern architecture can indulge their senses at the Palm Springs Modern Heritage Fund’s 2010 Annual Home Tour (www.psmodernheritagefund.com/events.html) on Saturday, Nov. 6. This year’s tour will cover residences in Rancho Mirage and Palm Springs with the rare opportunity to discover magnificent estates behind the gated hillside community of Thunderbird Heights, open for the very first time to tour guests. The day-long, self driving tour includes eight homes and concludes with a poolside wine and cheese reception. Cost is $125 and only a limited number of tickets will be available online for purchase at www.psmodernheritagefund.com. Tour details will be provided to registrants only. “Home tours like these are a great way to get acquainted with the superb collection of modern homes that we have here in Palm Springs,” said Ralph Haverkate. Mid-century modern architecture, from approximately the 1940s through the 1960s, was partly fueled by the economic and housing boom of post World War II. Desert modernism, a regional approach to International Style architecture, capitalized on the sunny skies and warm climate of the Palm Springs area, incorporating rocks, trees and other landscape features into the design. A haven for captains of industry, Hollywood celebrities, and a burgeoning population of middle-class American families in the mid-20th century, Palm Springs was unique in place and time in that many talented, world renowned architects found their niche creating visionary, innovative civic buildings, custom and tract homes through both private investors and public commissions. 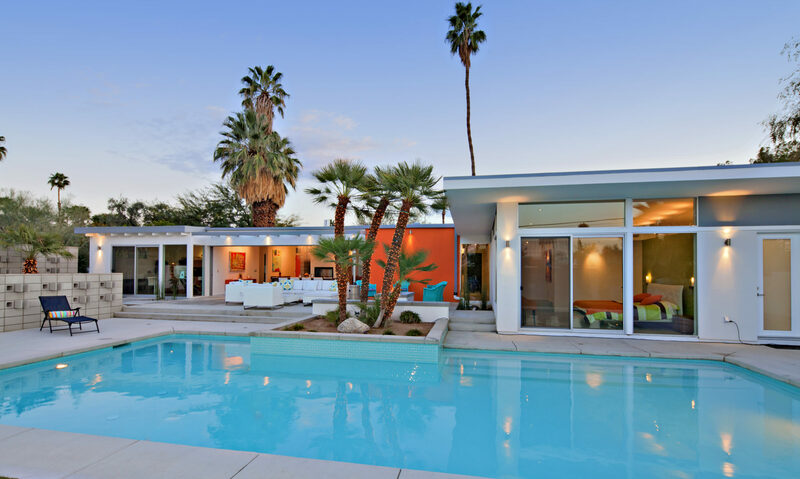 Characterized by open floor plans, extensive use of glass, steel and concrete, and seamless transitions from indoor to outdoor spaces, Palm Springs mid-century modern homes have been enjoying a revival of interest over the past decade or more. The Heritage Fund was established as a 501 ( c ) 4 organization specifically to support local political candidates who share preservationists’ views about Palm Springs’ historic modern architectural heritage. While tickets to the home tour are not tax deductible, funds go toward political endeavors to protect this heritage. Next PostNext Have Home Prices Hit Bottom?